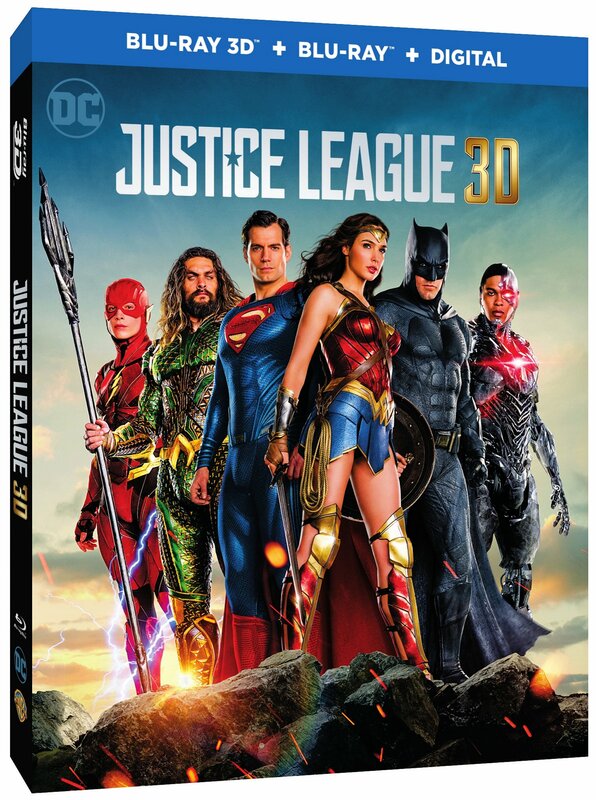 Warner Bros. Pictures’ and DC Entertainment’s epic action adventure Justice League is arriving in 4K Ultra HD Blu-ray Combo Pack, Blu-Ray 3D Combo Pack, Blu-ray Combo Pack, DVD and Digital. Directed by Zack Snyder, the film stars the famed lineup of DC Super Heroes: Ben Affleck as Batman, Henry Cavill as Superman, Gal Gadot as Wonder Woman, Ezra Miller as The Flash, Jason Momoa as Aquaman, and Ray Fisher as Cyborg. Justice League will be available on 4K Ultra HD Blu-ray Combo Pack for $44.95, Blu-ray 3D Combo Pack for $44.95, Blu-ray Combo Pack for $35.99 and DVD for $28.98. The 4K Ultra HD Blu-ray Combo Pack features an Ultra HD Blu-ray disc with the theatrical version in 4K HDR and a Blu-ray disc also featuring the theatrical version. The Blu-ray 3D Combo Pack features the theatrical version of the film in 3D high definition and high definition; the Blu-ray Combo Pack features the theatrical version of the film in high definition on Blu-ray; and the DVD features the theatrical version in standard definition. The 4K Ultra HD Blu-ray, Blu-ray 3D Combo Pack and Blu-ray Combo Pack will include a digital version of the movie. Fans can also own Justice League via purchase from digital retailers beginning February 13, 2018. Justice League will also be available on Movies Anywhere. Using the free Movies Anywhere app and website, consumers can access all their eligible movies by connecting their Movies Anywhere account with their participating digital retailer accounts.